From Monday 18th June 2018, chambers will be using Egress Switch as it’s primary solution to send secure emails. 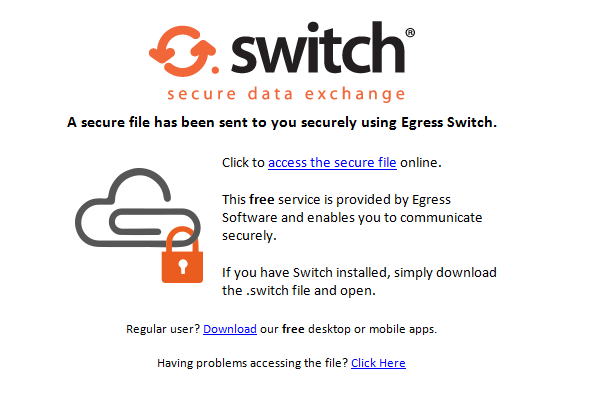 As a Recipient, Egress Switch is free to use. In order to view secure messages you must first create an Egress Switch account. Recipients can then access secure messages, download attachments and reply directly to any licensed user via the Web portal or desktop client.